In conversation with Gordon Barrington, Tony recalls his early life in the Forest of Dean, his school years and early working life, before joining the Grenadier Guards and then the Special Forces. In later life he has been a hugely active presence within the Barton and Tredworth area, and his activities reflect his community activism. 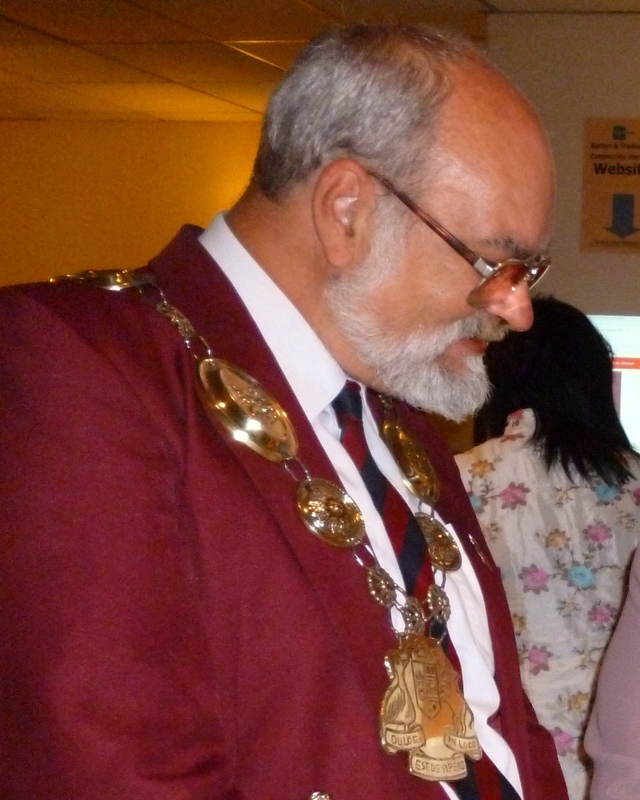 Tony’s services to the area as Chair of the Tredworth Residents’ Association and the Barton & Tredworth Neighbourhood Partnership, led to his being elected as the Mock Mayor of Barton in 2010 – 11. The photograph above shows Tony at the Memory Fair held at the Picturedrome in June 2011. The last two clips were recorded on 28th April 2011 at the 25th anniversary celebrations at Widden School. Tony, in conversation with Dawn Patterson, was Mock Mayor of Barton and Chair of the Barton and Tredworth Neighbourhood Partnership at the time. He reflects on the duties of the Mock Mayor, and on changes to the area.